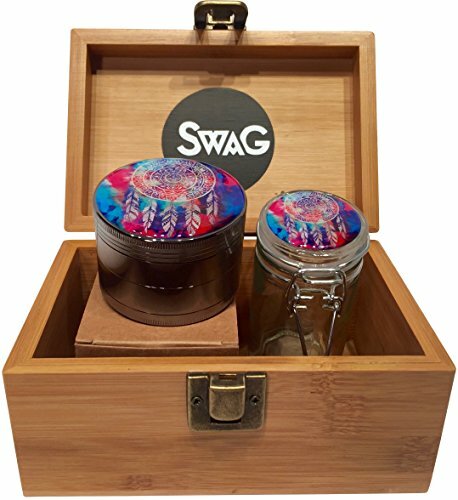 GRINDER AND JAR MATCHING COMBO – Combo includes a Premium quality Black CNC Aerospace Grade Herb grinder, Wood Top Glass Jar, Pollen Scraper, and six jar labels! Grind and store your herbs and spice! 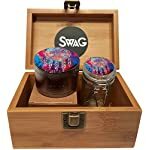 The food grade glass jar has an air-tight seal to lock in smells while keeping herbs and spices fresh for weeks! SAVE TIME AND MONEY – Use less herbs and spices when you grind. Store extras in the matching display jar to keep them fresh to save even more money! SEE the AMAZING quality for yourself and if you are not completely satisfied we offer a 100% Money back Guarantee! STUNNING DESIGN – Designed by Swagstr! 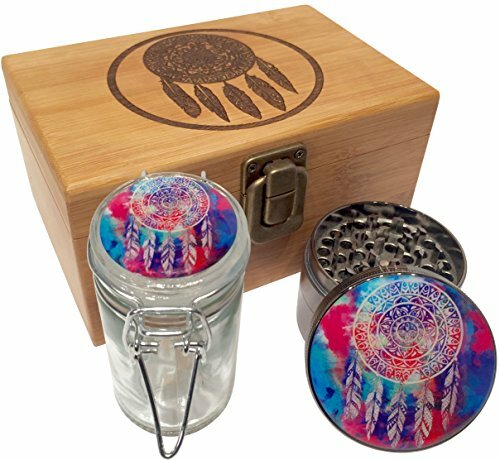 The Grinder and Jar designs are color printed, UV sealed, and then domed with crystal clear polyurethane for a 3D effect. The beautiful designs are water proof, scratch proof, and never fade! The simple and beautiful solution to your grinding and storage problems! • Twenty-Eight DIAMOND CUT Cutting Teeth in the main chamber. • Stainless Steel 100 micron Pollen sifting Screen. • Precision Milled Holes that ensure only consistent sized grains collect in the center chamber. 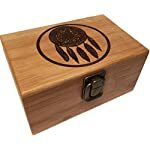 • Powerful Neodymium Magnets to create a tight seal, locking in contents and smells. • CNC machined from a single piece of 100% Pure Aluminum with zero alloys or cheap fillers! • Textured Finger Grips for a slip free grind! 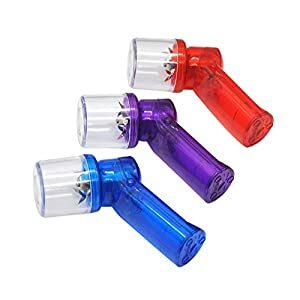 Size: Diameter 2.0″ x 1.5″ (50mm). Perfect for medium grinding jobs! • Eco-friendly, BPA, and Lead free Jar! 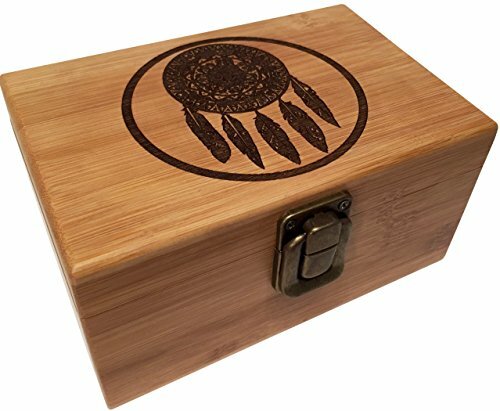 Size: 3.25″ Tall x 2″ Wide – Perfect size! The quality custom designs are printed and then applied with a clear UV polyurethane doming. The process gives the 2d digital image a 3D optical effect along with a pleasurable tactile feel that is self-healing. Minor cuts and scratches heal themselves so the designs will always look brand new! 100% Save Time and Money Guarantee!! Shipped safely and discreetly. All packaging is discrete and without markings. 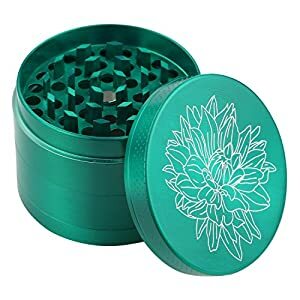 Please check out my other listings for additional designs and grinders! 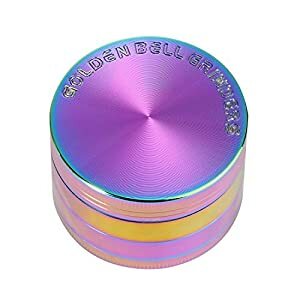 If you’re ready to seriously step up your grinding game, Click the ‘Add To Cart’ button Now to order the ultimate Grinder & Jar Combo set today and experience the difference for yourself. FREE JAR LABELS – Label your new Jar! The matching combo comes with six different colored jar labels. Label easily peels on and off to change colors! The combo also comes with a mini pollen scraper. The perfect gift package at a perfect price! Buy more for friends! GREAT GIFT – Make someone happy! 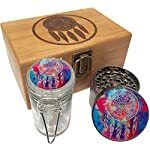 Premium quality grinder and jar with stunning designs that impress! Makes a perfect gift for the holidays, weddings, birthday’s graduations, anniversaries and more!